The last time Mamma was at Kryal Castle was for a dance party back in 2003! We heard Kryal Castle had a revamp so we bit the medieval cannonball and took the kids long to check it out. It's quite an incredible and surreal place really...perched on a hill with great views of Ballarat and surrounds the castle grounds are vast, it's set up like a self contained medieval village and now complete with accommodation too! 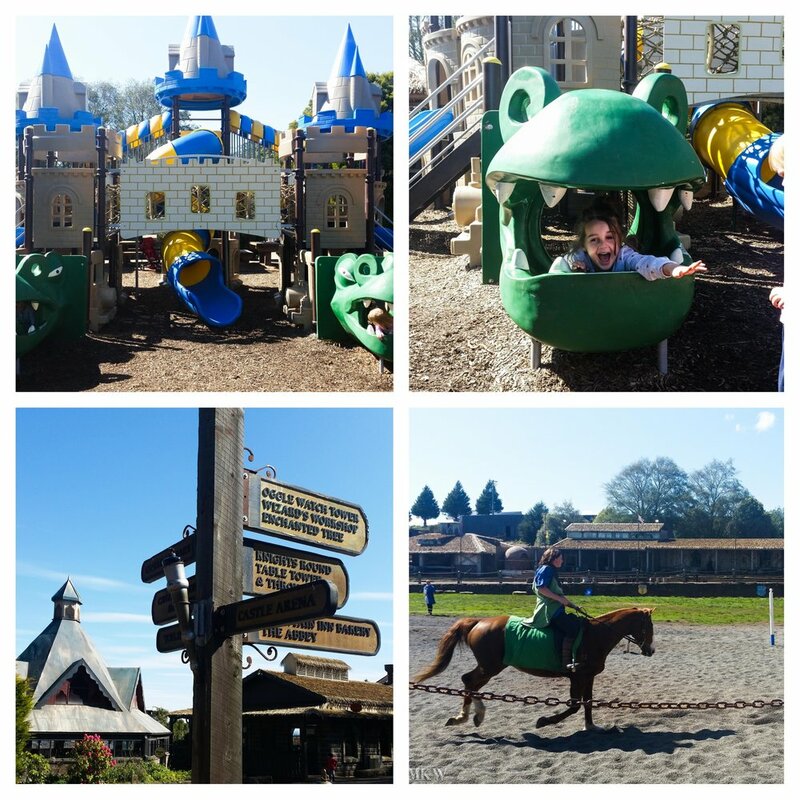 There are little shops to visit like The Tooth Fairy lolly shop, The Ale House and The Bakery plus the kids absolutely loved the castle shaped play ground which proved to be a good spot to hang out between activities and for lunch. There is a maze, towers to explore, giant chess board, face painting, potion making, archery and little animals to visit - with plenty to do for the whole day, Mamma says pack a picnic and check it out. Oh and the tacky family photos on your arrival are pretty funny! - avoid going through the dragons lair on arrival (it's included in your entry) but our kids were really scared and we had to exit quickly!